If you are in need of a new garage, you are faced with an important choice; do you build an attached or detached garage? Both designs have unique advantages and disadvantages, so it is best to consider your lot size and the intended purpose of your new structure when choosing between the two. Attached garages are often cheaper, as contractors are able to utilize one of your home’s pre-existing walls during construction. For those with limited space, however, or for homeowners looking for more freedom during the building process, a detached garage is often the right choice. Below we detail the reasons a detached garage may be the best choice for your home, and some downsides to consider as well. A detached garage is perfect for a homeowner with ample space behind the home. Many homes in downtown areas have long, narrow lots, providing plenty of room for a detached garage to be constructed. Additionally, if there is an alley behind your home, it is beneficial to have the ability to pull in straight from the alley. A detached garage, however, may eat up a large portion of your back yard area, so if green space is your concern, perhaps an attached garage is the best choice, assuming you have the space on either side of your home for the addition. In addition to lot size, homeowners also need to consider the intended purpose of their new garage. If you live in a climate with harsher weather, and are sick of trudging through the rain or snow to access your vehicle, an attached garage you can access directly from your home may be your best option. If however, you are looking to include a workshop of some kind within your new garage, having the structure away from your home can be advantageous. A detached garage can provide more space, safety, and privacy, and can help keep any noise from the workshop from reaching your home. Additionally, if you have frequent guests, or are in need of additional living space, a detached garage is prime for adding a living area, such as a bedroom or separate apartment. Another important factor to consider is the current aesthetic of your home. If you have an older home, a new attached garage can stick out like a sore thumb. A detached garage can be hidden behind your property, filling most of the same needs of an attached garage without potentially lowering your property value. Also consider other homes in your neighborhood. If detached garages seem to be the trend, consider going with that option. On the other hand, if every home on the block has an attached garage, future home buyers may shy away from your property if they feel it does not fit in. 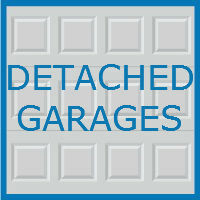 Another major benefit to detached garages are the increased safety they can provide for you and your family. Carbon monoxide is always a worry, but with a detached garage, there is no chance the toxic gas could seep into your home. If building a workshop within your garage is your intention, the dangerous chemicals you may be working with will also be stored securely and safely away from your family. In fact, the American Lung Association recommends homeowners build a detached garage if possible, as harmful substances like gas, oil fumes, and pesticides are a risk to your family. Additionally, with an attached garage, is a burglar attempts to break in and is successful, they will likely have easy access to the rest of your home. If a burglar breaks into your detached garage, they may steal the garage’s contents, but your family will remain safe. If you are torn between an attached and detached garage, a garage specialist can help you make your decision. 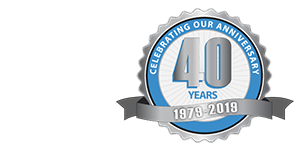 The team at Blue Sky builders specializes in all things garage related. Whether you are looking for a new garage, a remodel, or a few upgrades, we are here to help. Call 630-852-8485 today to get started on your next garage project. Also, visit Blue Sky Builders online to learn more about our services, and to view a gallery of some of our work.